differencemakers community blog: Could you describe your strategy in a sentence other people have bought into? 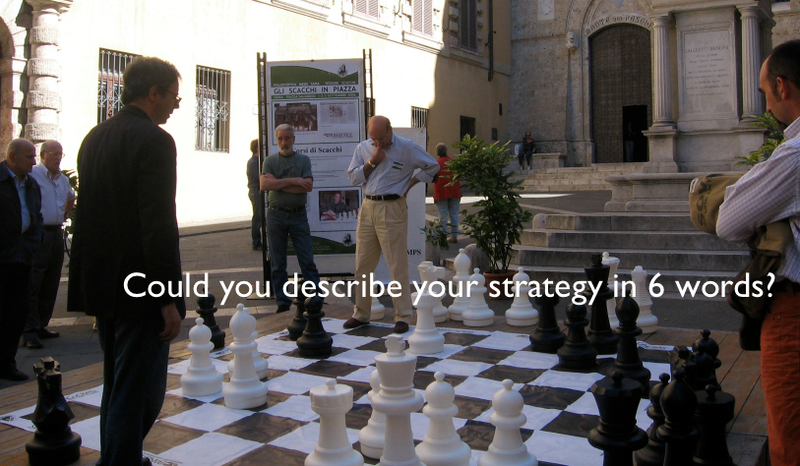 Could you describe your strategy in a sentence other people have bought into? This is the fourth in a series of seven suggestions for working on yourself in order to more fully appreciate and get the best out of yourself and other people. Links to the three previous posts are below. Your Life Only Has One Purpose. Your Only Quest Is To Live It. There's short videos and working on your business exercises too that correlate with those for working on yourself. All are in the one place in the handbook you can download here. I love Samuel Goldwyn's words: If you can't write your movie idea on the back of a business card, you ain't got a movie. 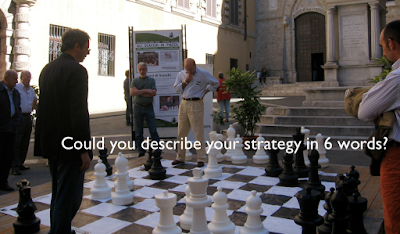 I say, if you can't describe your strategy in 6 words; at worst in a sentence, it's unlikely you've got a strategy that people can own and execute. Find out what you can do to describe your strategy for growth, in your business, and in your life, in a single sentence at the handbook link above. top 50 it software companies, is held by Vinasa, happens recently. and Not surprisingly when Savvycom becomes one of the top 50 that. One of the most topic of savvycom, it's digital healthcare korea, the newest topic that is discussed recently daily.